A husband and wife entered the dentist's office. The husband said, "I want a tooth pulled. I don't want gas or Novocain because I'm in a terrible hurry. Just pull the tooth as quickly as possible." "You're a brave man," said the dentist. "Now, show me which tooth it is." 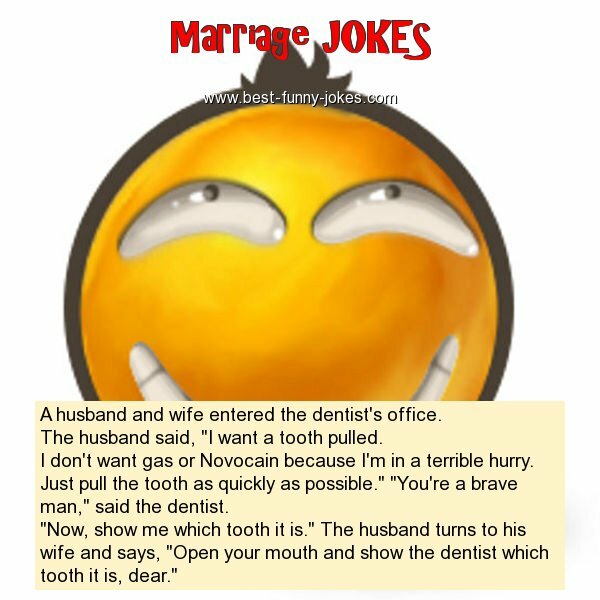 The husband turns to his wife and says, "Open your mouth and show the dentist which tooth it is, dear."